To engage the mind, enrich the spirit, and deepen understanding of our community and our world. KLCC 89.7 FM is NPR for Oregonians. 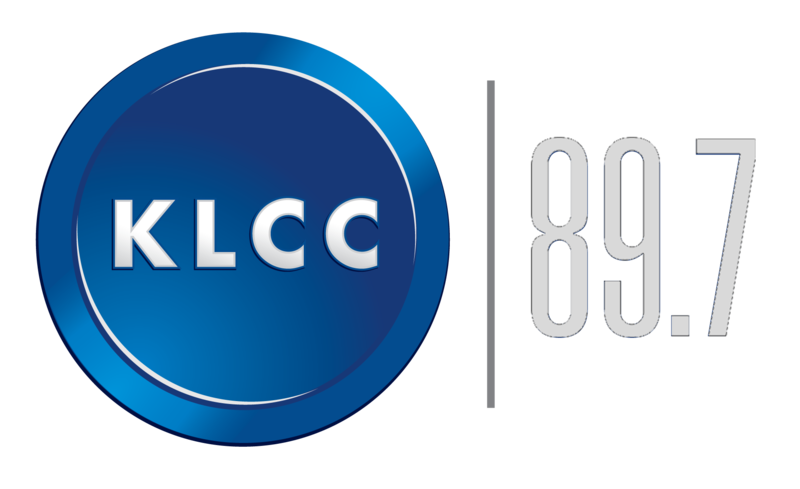 KLCC is a public radio station licensed to Lane Community College in Eugene, Oregon. With 81,000 watts of power, KLCC 89.7 FM is the most powerful public radio signal in Oregon. KLCC serves more than 88,000 listeners each week within a 100 mile radius of Eugene. Besides our main transmitter in Eugene, we have translators in four communities throughout Western and Central Oregon (Cottage Grove, Oakridge, Riddle and Sisters), and five sister stations -- KLBR in Bend, KLFO in Florence, KLCO in Newport, KLFR in Reedsport, and KMPQ in Roseburg -- all broadcasting KLCC programming. KLCC is consistently ranked among the top five public radio stations in the nation for market impact. KLCC is a charter member of National Public Radio, and the primary NPR member station in the Eugene/Springfield area. Our weekdays and several hours on the weekends are devoted to news and talk programs, covering local, regional, national and international topics and issues. A wide world of intelligent music fills the evenings and much of the weekends -- music that is unavailable or under-represented on commercial radio. Jazz, Blues, Folk, Americana, Celtic, Electronic, R&B, Latino, and World Music can all be enjoyed on KLCC each week. KLCC has been on the air since 1967. Our staff includes 20 paid employees, and over 70 volunteers from the community. Many of our music volunteers have been hosting shows on KLCC for 10 years or more. KLCC News aspires to the highest journalistic standards. KLCC is the primary source of news for many of our listeners. We seek to lead, not follow, the local media. Our reporting advances the stories of the day and provides coverage not found elsewhere. As journalists we are involved in our community: listening for all voices; reflecting their views in our programming and newsroom; providing a forum and information for citizens seeking solutions to local problems. Our journalism will be diverse, in terms of sources used, regional focus, and forms of programming. The KLCC newsroom is always open to qualified aspiring journalists. We regularly evaluate the quality of our programming, which informs our ongoing training of staff and volunteers.